. 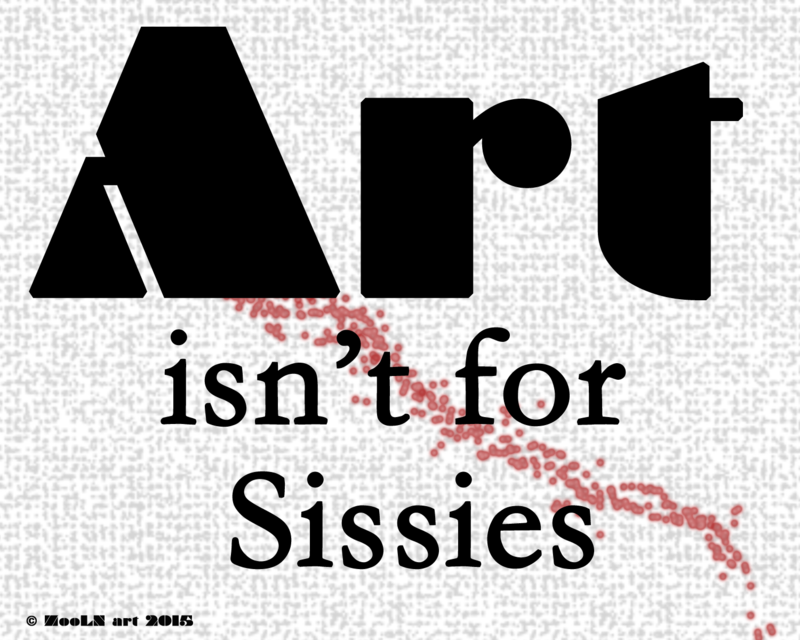 : Art isn't for sissies. All glory? All the time? Really? There it is - the Mess. Once a promising piece of creative fun, now it’s sitting, waiting on your desk - and there’s nobody to fix it but YOU. Look, you can see it across the room from here. Worse, YOU made the mess, with the best of intentions, pushing against the limits of your abilities - and you found precisely where those limits lie. And maybe you blew by some experience you already had under your belt. Oops - Damn. Why? Why did I do that? How did I let that happen? Great, I’ll be taking that psychological spiral inwards (and downwards) as well. You’re facing another learning curve – and you made it yourself! Ah, the joy of intense analysis, pragmatic assessment, and once the shame subsides, a plan – well, an idea of a plan. There’s a process of decisions that must be made, some slowly with deliberation and care, and more that must come rapidly, in that uncharted space between experience and intuition. And now all you have to do is wade in. It feels like waiting for the trapeze to swing toward you so you can throw yourself out into mid air to catch it. Yeah, I can’t imagine why fear’s an issue. And, as usual, there’s no net. This is the time I envy the computer artist. Throw out that nasty layer - Click - easy. Enlarge it so it’s bigger and easy to see - Click. Duplicate the image and try out your brilliant idea – click, click, label, and save. I do some computer artwork, too, so I know this; I do this, but when it comes to creating my art I still prefer the Original, the genuine “hard copy”, the REAL piece of physical creativity that stains my nails and strains my aging eyes, my temper, and my temperament. And Time, the looming disciplinarian, regardless if there’s a deadline set, still judges, “You STILL haven’t finished?” He stares at you; he stares you down, and ticks away in angry increments. Why do people struggle with creating? Ha! It’s a war in there. And you’re on your own. So if you are creative, and still working at it, know in your soul you've got more courage than it looks like from the outside. After you lick your wounds, grieve the losses, and regret the errors, - get up, assess the battlefield, plan a strategy, grab your armor, your weapons, and go back after it. Just being back in the swing of it is victory. And this time, Serendipity may be yours, and the mess will prove to be nothing more than a learning curve. Funny, how the scars never seem to show.